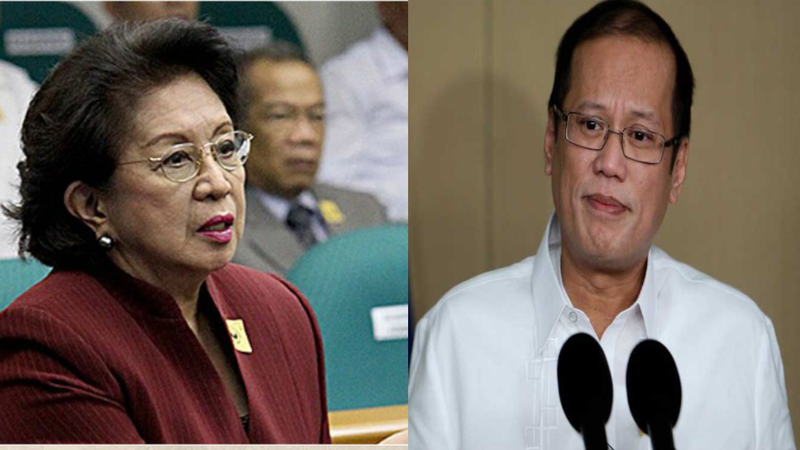 Home / News / Politics / Former diplomat Tiglao calls Conchita Carpio Morales "Aquino's top assassin"
Former diplomat Tiglao calls Conchita Carpio Morales "Aquino's top assassin"
Columnist and political commentator Rigoberto Tiglao in his column called former Ombudsman Conchita Carpio-Morales, as former President Benigno Aquino III's "top political assassin", allegedly helping the latter out bring down his political enemies. The column written in 2015 , stated that Aquino corrupted the Office of the Ombudsman "to turn it into his political assassination squad against his enemies." Tiglao said that one of the known victims is ousted Chief Justice Renato Corona. "Morales lied in Corona’s impeachment trial when she claimed that data provided by the Anti-Money Laundering Council (AMLC) showed that he was hiding $12 million in his dollar accounts," Tiglao said. He said the only other explanation for making such falsehood is that she didn’t understand reports on bank transactions data, which sounds really impossible as she isn’t exactly poor, stating her SALN which showed a net worth of 40 million pesos. "I studied the AMLC documents and estimated Corona’s dollar accounts – just a little over $1 million, mostly accumulated before he even joined the government in 2001. I wrote a column explaining this when I was still with the Philippine Daily Inquirer (“Corona’s deception on Corona’s bank accounts,” May 17, 2012), which I’m sure she or her staff read. They didn’t respond to my column," Tiglao said. "If she had any decency, her lie – or mistake – should have prompted her to resign. Of course, she didn’t," he added. He also alleged that 20 senators were paid 10 billion in pork-barrel funds to oust him. He said that other targets were opposition Senators Juan Ponce Enrile, Jinggoy Estrada and Ramon Revilla. Morales filed plunder charges against them in June 2014 in connection with pork-barrel funds that they allegedly pocketed. A month later they were all in jail. He said that asked for evidence, the Commission on Audit has failed to respond. Tiglao added that the COA special audit found indications of similar cases of pork-barrel fraud, but these involved allies of Aquino. He named them, "Former Senator Edgardo Angara; Neptali M. Gonzales II, the deputy speaker of the Lower House; former representative and Aquino’s Tesda head Joel Villanueva; Akbayan party-list representative Risa Hontiveros; Florencio G. Noel, former An Waray party-list representative who is reportedly close to the president; Senator Allan Peter Cayetano, Nacionalista-Liberal Party coalition; Senator Aquilino “Koko” Pimental Jr., Liberal Party; Sen. Francisco “Kiko” Pangilinan, Liberal Party; Sen. Ramon B. Magsaysay Jr., Liberal Party; Sen. Cynthia Villar, Nacionalista-Liberal Party Coalition; and Sen. Manuel B. Villar, Nacionalista-Liberal Party Coalition." Tiglao said that despite this, Morales did not act on the report. "A year before the 2016 elections, Morales blindly rushes to use the allegations – made without the rigors of rules of evidence in a regular court – hurled by Antonio Trillanes 4th in Senate hearings, to file charges against Vice President Jejomar Binay and his family, now the leading candidate for President. Never mind if Trillanes, who already hates Binay for allegedly abandoning him in his 2003 Oakwood mutiny, thinks that for being his attack dog against the Binays, Aquino will endorse him as his cabal’s vice presidential candidate," he further added. Tiglao encouraged his readers ro decide for themselves if the report was mere coincidence or not.